Tributes have been pouring in for former minister Lino Spiteri, who passed away yesterday, aged 76. The government said Mr Spiteri was an important figure in the political, literary and social fields. He would be remembered for the commitment and dedication he showed to his political career, where he worked without partisan distinctions. The party praised his for his profound analyses of local and international events, his literary skills, his voluntary work and his promotion of social values. Prime Minister Joseph Muscat said Mr Spiteri was a critical reference point who he would sorely miss. Former Prime Minister Alfred Sant, whose Cabinet Mr Spiteri resigned from in 1997, said he had always admired Mr Spiteri's acute intelligence and creativity and his love for Malta. Their paths, he said had crossed in the political, economic and literary sectors and Mr Spiteri always impressed with his professionalism. Speaker Anglu Farrugia, Opposition leader Simon Busuttil, MPs from both sides of the House and the political parties also expressed their condolences. A former minister for finance and trade, Mr Spiteri was elected to Parliament when he was 23 and served as an MP for 21 years, six of them in cabinet. He retired from politics in 1998. Interviewed in The Times on his 70th birthday, about his position after the 1981 perverse result, when he served in the Cabinet even though Labour did not get a majority of votes, he had said he was not one of the ministers who questioned what would have happened to the country if Labour did not govern and he accepted the mandate given to the party according to the Constitution. His gravest political mistake, Mr Spiteri had said in that interview, was to contest the 1996 election when he did not agree with his party’s position for the removal of value added tax. “When Dr Sant announced that the party would remove VAT he hadn't consulted anybody. He didn't consult me as shadow finance minister. When that happened in 1994 I should have immediately resigned, but I didn't. He said that he had told Dr Sant that his VAT policy was wrong straight away. “I learned what he had said over dinner at a restaurant in Sliema when a friend asked me with what I was proposing to replace VAT. As it happened, the Labour leader had just said he would remove VAT if elected to government. It was news to me. I felt like an idiot. On the morrow I confronted Dr Sant about it and told him: "how could you have said something like that?" Asked how he felt when Dr Sant committed him to change a policy he completely disagreed, his reply was “like an idiot” but decided to stay on not to harm the party's growing chances of returning to government. He resigned from cabinet in 1997. He had also admitted voting for EU membership, “which meant that I didn't vote for the MLP”. Also well known in the literary field as a writer, poet and columnist, Mr Spiteri wrote more than 100 short stories based on social realism. 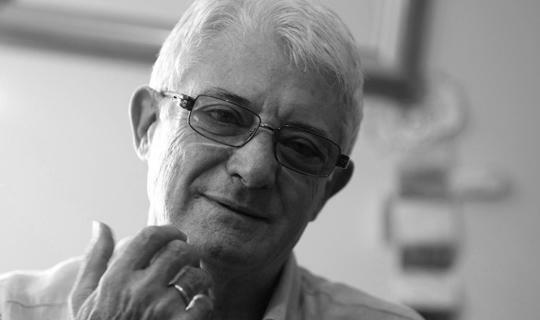 He also wrote a socio-political novel Rivoluzzjoni, do Minore, based on the political religious situation of the 1960s. He was awarded the National Book Prize in 1995. He wrote regularly in Times of Malta and The Sunday Times of Malta. 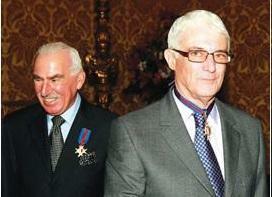 In 2008, Mr Spiteri was awarded Ġieħ ir-Repubblika and made Companion of the Order of Merit. An economist by profession, Mr Spiteri also served as deputy governor of the Central Bank of Malta.